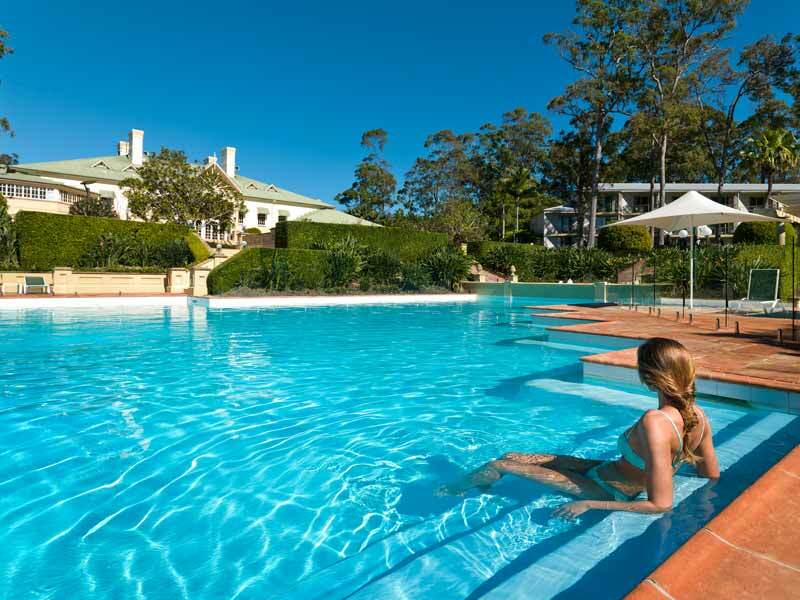 Whether your ideal Queensland holiday is lazing around the pool sipping on cocktails, shopping to your hearts content or experiencing all the best attractions, you’ll find your perfect haven at InterContinental Sanctuary Cove Resort. 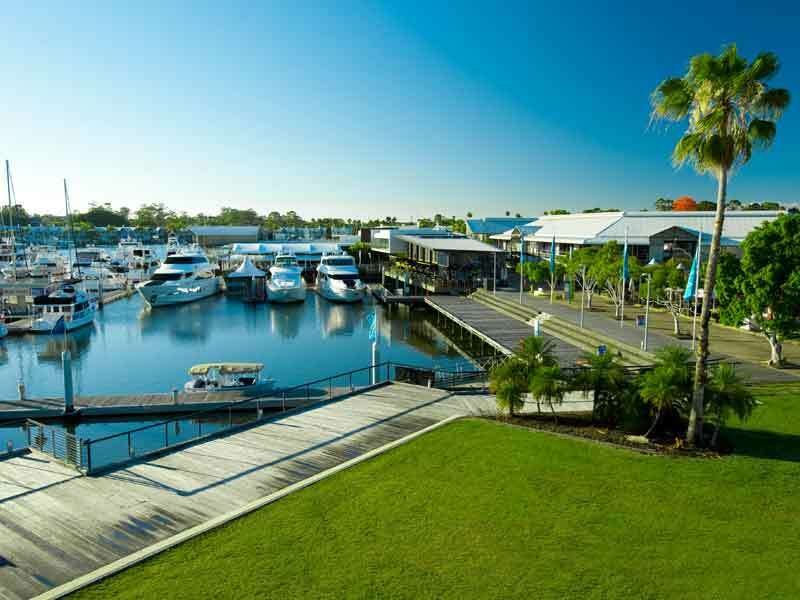 The resort is situated in the tourist heart of the Gold Coast while still providing a peaceful and relaxing atmosphere within the gorgeous Sanctuary Cove. There are activities and facilities for everyone at InterContinental Sanctuary Cove Resort, whether you’re travelling for leisure or business. 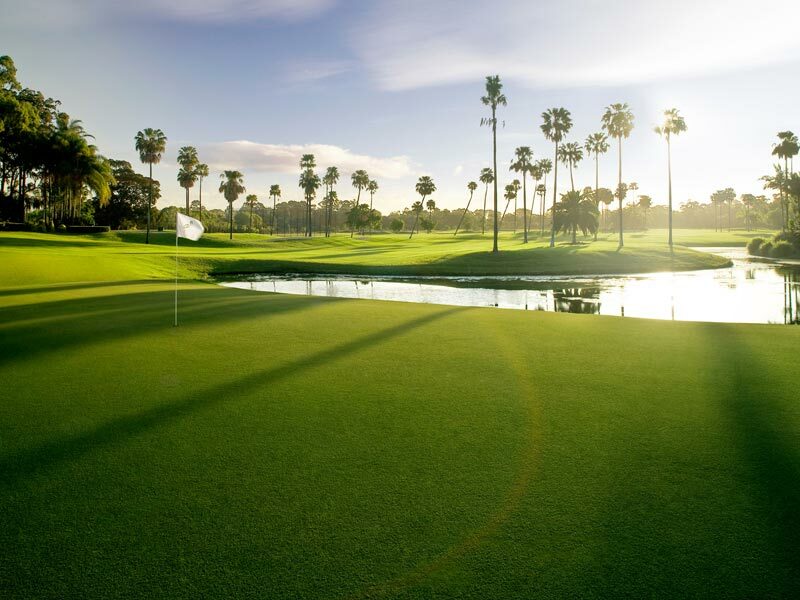 The resort is home to 2 of the Gold Coasts most impressive 18 hole-golf courses. The Sanctuary Cove Golf & Country Club is open to all guests with a huge selection of health, fitness and recreation facilities. Stop in at the Golf Shop for a range of golf fashion, equipment and accessories for both men and women before practising your swing on the golf courses that are considered amongst the best. The huge recreation centre features fitness classes, including yoga, Pilates and aerobics, and equipment both indoors and outdoors. Keep your fitness routine on track with the state-of-the-art gymnasium and weight training room with the assistance of a personal trainer, coach or weight-loss consultant. There is spa, beauty and treatment rooms here too where the highly trained and experienced therapists offer a selection of spa and beauty treatments including massages. Spend the day wandering The Marine Village for an array of restaurants, bars, shops and boutiques before seeing the impossible at Matt Hollywood’s Illusion’s Magic Show every weekend. The Planet Trekkers Kid’s Club is perfect for the little travellers! Let the kids have a ball with programs and activities while you indulge in relaxing treatment at Champions Hair, Beauty & Day Spa. The InterContinental brand is known for its old-world glamour and sophistication and that is evident the moment you arrive at InterContinental Sanctuary Cove Resort. 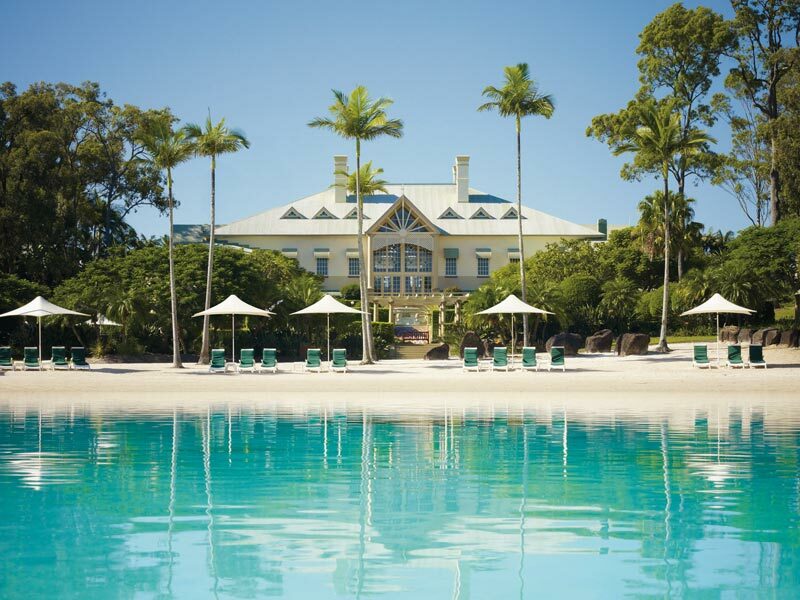 Inspired by the grandeur of old, beautiful Queensland homes, their 243 rooms and suites are awe-inspiring. 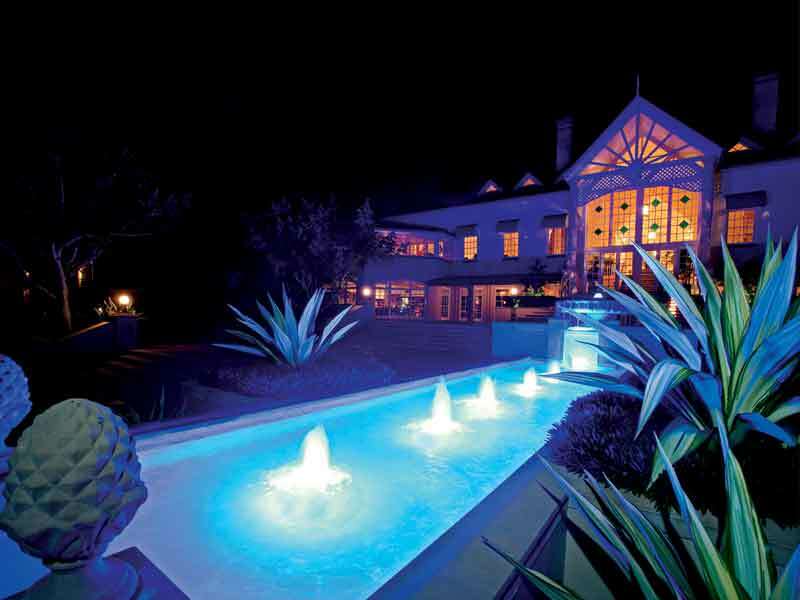 The interiors are appointed with solid timber features, a gracious décor and contemporary furnishings throughout. Each are spacious and airy, boasting their own private balcony with picture-perfect views of the lush gardens, lagoon pool or the marina. Why go to InterContinental Sanctuary Cove Resort? From the stunning lagoon-style swimming pool and the Sanctuary Cove Golf & Country Club to the easy access to The Marina Village and the harbour, InterContinental Sanctuary Cove Resort is the place to stay. Dining options are aplenty, there is a kid’s club for the youngsters, Gold Coast must-see attractions are only a short drive away and the rooms are comfortable and spacious – there’s no reason to look anywhere else your memorable Queensland holiday! Please Note: The Lagoon Beach and Pool are out for up to 6 weeks of needed repair work in June/July. The start date of these works is Monday 11 June 2018, with the work scheduled to be completed by Sunday 22 July. The works will be mainly 9-5, Monday -Friday, with a lot of the time scheduled to include be emptying, drying and refilling. The beach/ lagoon area will be aesthetically fenced off during this period. Enjoy the cool breezes and green gardens around you from the private balcony of a Garden View Room. Reflecting a classic Queensland home style with solid timber sleigh beds and polished wooden floors, these rooms have a 37sq. metre layout. The generous sized bathroom features a deep bathtub and a separate shower with luxe amenities while the main room is equipped with your choice of king or twin bed configuration, iPod docking station and Wi-Fi access. The welcoming interior of a Lagoon Pool Room spans across 37sq. metres, featuring contemporary furnishings including solid timber sleigh beds, polished wooden parquetry floors and sliding shutters. The beds are comfortable, with deluxe linens, and guests can choose between a king sized or twin double set up. Stay connected with Wi-Fi access, play your favourite songs on the iPod docking station, be inspired in the dedicated work zone and take in the gorgeous views of the lagoon pool and jump in for waters views of the Coomera River. Upgrade to a Club InterContinental Room and take advantage of additional benefits! When you opt for a Club InterContinental Room, enjoy complimentary breakfast, twilight drinks and canapes, all day light dining, high tea and late priority check-in and check-out. 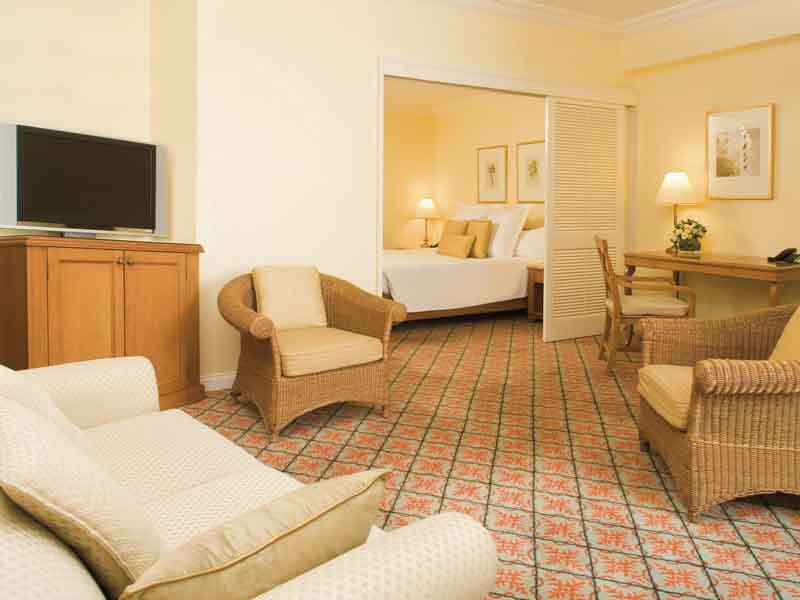 The rooms themselves include all the same features of the Garden/Lagoon View Rooms. Stay connected with Wi-Fi access, decide on your bedding configuration (king sized or twin double), play your favourite tunes on the iPod docking station and take in the stretching views from the private balcony. With 66sq. 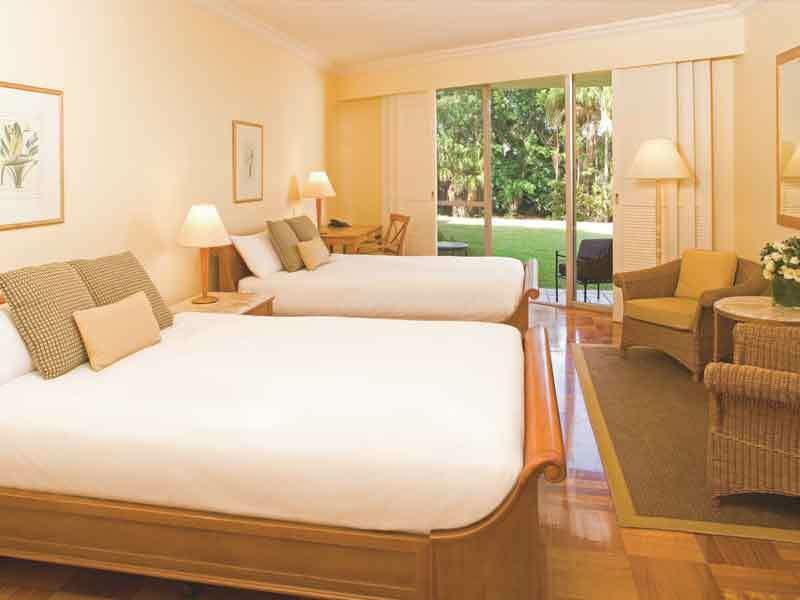 metres of space, the Queenslander Suites are an ideal option for your Queensland holiday. The sitting area dominates the suite with a bright and airy room that acts as the gateway to the private balcony where you can take in the lush garden views that stretch over the entire resort grounds. The bathroom is generously sized with luxury amenities to match the impressive deep bathtub, separate shower and dual vanity. 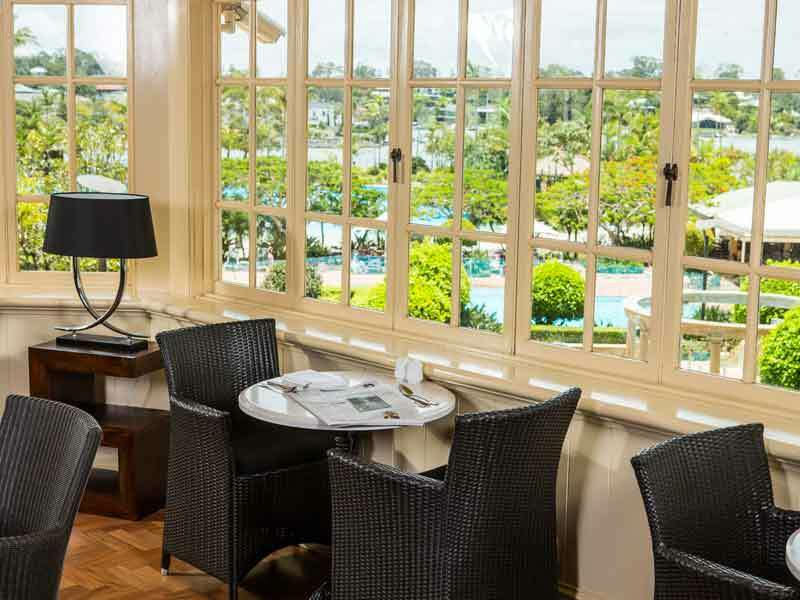 Business travellers can work at ease on the comfortable dedicated work area and stay connected with Wi-Fi access. 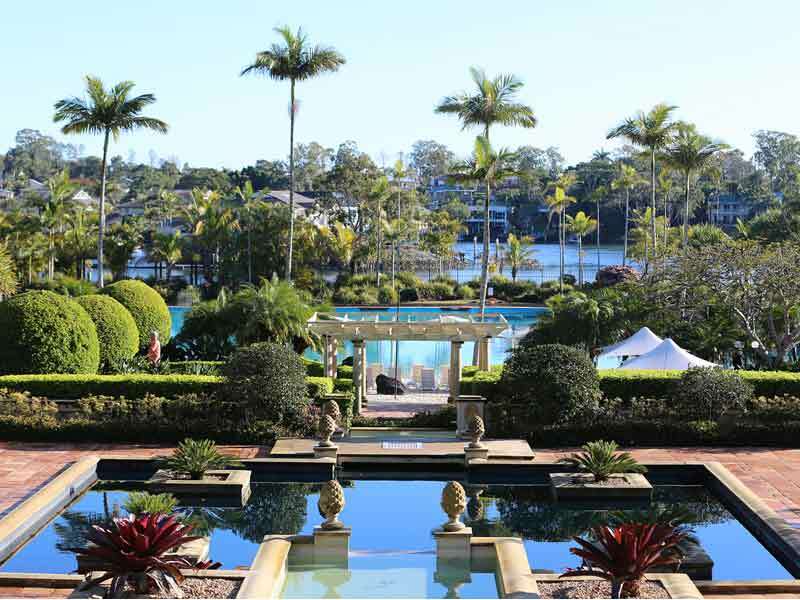 Approximately a 45 minute drive from the Gold Coast Airport will get you to InterContinental Sanctuary Cove Resort. Gold Coast’s theme parks are only a 15 minute drive away while the hustle and bustle of Surfers Paradise is just 30 minutes away. Activities and facilities are aplenty at InterContinental Sanctuary Cove Resort. 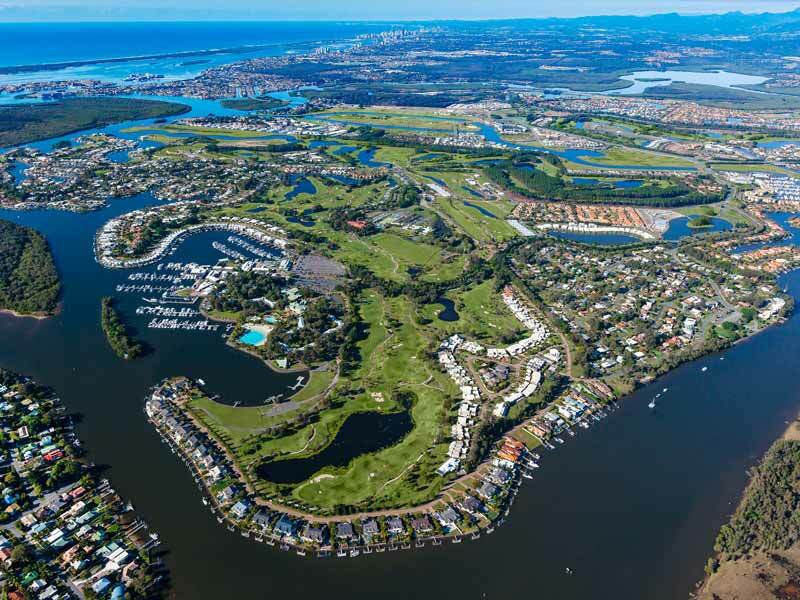 The Sanctuary Cove Golf & Country Club is open to all guests offering a range of activities and services. There are two 18-hole golf courses to choose from plus golf shops to purchase golf fashion, equipment and accessories. The club also features a huge recreation centre with both indoor and outdoor areas. There are Yoga, Aerobic and Pilates classes available, as well as spa, beauty and treatment rooms. Active travellers can keep fit in the well-equipped gymnasium and make use of the services from personal trainers, nutrition coaches and weight-loss consultants. Play a game of tennis on one of the 5 courts or swim to your hearts content in the 25 metre lap pool. The youngsters can keep busy at the Planet Trekkers Kids Club with a range of organised activities and programs. A short walk from the resort you can discover everything that Sanctuary Cove has to offer. The Marina Village is packed full of restaurants, cafes, bars, shops, boutiques and services such as the Champions Hair Beauty & Day Spa. Theme parks such as Movie World and Dreamworld are only a 15 minute drive away and the tourist hub of Surfers Paradise is 30 minutes away. My husband and I came to InterContinental wanting a relaxing stay in a luxurious, clean resort and we were not disappointed! The staff were great, very friendly and helpful. We loved the lagoon pool and spent a lot of time swimming. The breakfast buffet every morning was exquisite, we loved the variety and the freshness of all the food! We thought it was great that it was family friendly and great for couples at the same time. We were very impressed and will definitely be back!